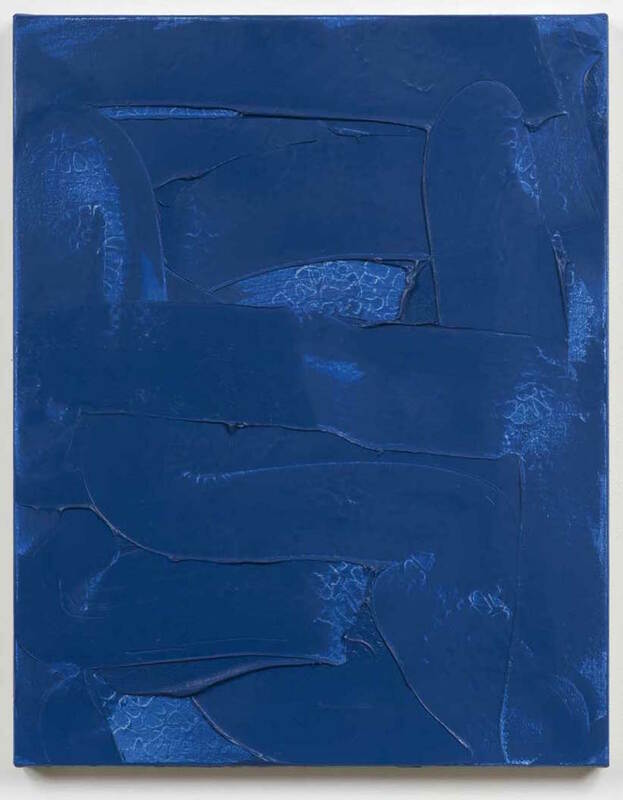 Robert Bordo, Denim #1, 1996, oil on canvas, 29 × 24 inches (courtesy of Bortolami Gallery. Seth Cameron interviews Robert Bordo whose work was recently on view at Bortolami, New York. Bordo comments: "the material part of my imagination is always in need of a trigger, a signifier, a poetic, or a joke. I can’t just make paintings simply using the technical vocabulary that I’ve found over time because doing so alienates me and eludes me. The material and formal are connected to content, so they require some kind of story structure, some voice, a metaphor, something topical in the culture that I’m reacting to."